Janice Davis is a primary school teacher who has a real love and passion for learning and teaching. This passion followed her into motherhood as she found herself creating and developing new ideas and activities all the time. Learning 4 Kids focuses on the importance of learning through play and sharing these ideas, activities and information with other families. To find out more, visit the Learning 4 Kids website. Adults often undervalue imaginative play. Play is a child’s way of engaging and making sense of the world. Role play may appear to be a very simple activity, yet within it, young children learn practical life skills such as dressing themselves or how to cooperate and share with others. What is Imaginative play? Essentially it's when children role play and act out experiences they may have had, or something that interests them. They're experimenting with decision making, and also practising their social skills. Children learn from experience: from what happens around them, from what they see, hear, smell, taste and touch. To absorb those experiences and make sense of the world, they need to be engaged in imaginary play. There are several things parents can do to enhance their child's imaginative play. A place to play - Provide your child with a space in your home for imaginative play. It could be a separate room or even just the corner of a room. Wardrobes are good too. Another great place for imaginative play is the dinner table. When you remove all the chairs and cover the table with sheets, it becomes an instant cubby house or even a castle where a beautiful princess is kept captive by an evil dragon. Throw a sheet over the couch, to create a tunnel or a cave that an explorer needs to investigate. 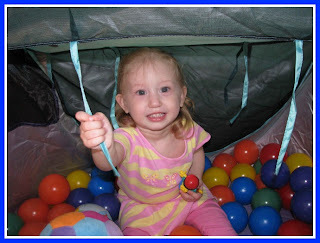 Canopies and play tents can create a great place to begin the imaginary world. Changing the play place regularly with different props and toys keeps children stimulated by it. Provide props and toys - To help promote imaginary play, we can supply props and toys. Cardboard boxes can become anything in the imaginary world. I've seen them become computers, cash registers, and beds for sick animals. Provide a dress ups box full of clothes, scarves, hats, handbags, shoes and wigs. Dress ups are irresistible to young children to spark the imagination. Consider creating a props box filled with toys, objects and props to encourage your child's fantasy world. You might include: washing baskets, pretend plastic flowers, old telephones, stuffed animals and dolls, blankets, plastic crockery and cutlery. Be your child’s playmate – Kids love to play with their parents! When your children bring you a pretend cup of tea, play along and ask for a cookie or a teaspoon of sugar. Show an interest in what they're doing and tell them that they are a wonderful chef and that they make the best tea! This helps to develop the story and encourage imagination, but lets your children be in charge. Arrange play dates with children of a similar age so they can support each other’s imaginative play. Provide them with experiences to role play - Reading to your children will expose them to different scenarios, stories and experiences. Taking your children to many interesting places is also another way of exploring new experiences. This does happen naturally anyway, such as visiting the doctor and the supermarket. 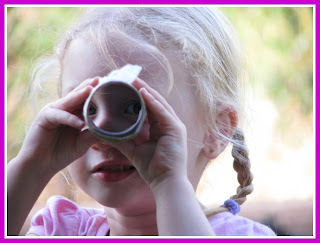 These will provide them with more experiences and more ideas for imaginative play. It provides opportunities for children to identify with the adult world and to work out problems and experiment with solutions. It develops social skills: practising negotiation skills, turn taking and sharing. It enhances emotional development. Kids gain an understanding of their feelings through the re-enactment of certain experiences. 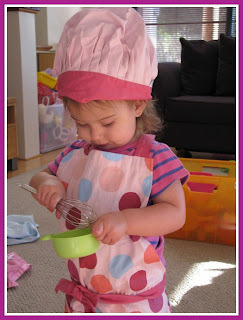 It encourages imagination: Children can be anyone and do anything in the pretend world. It promotes taking on roles that encourage discipline and empathy. 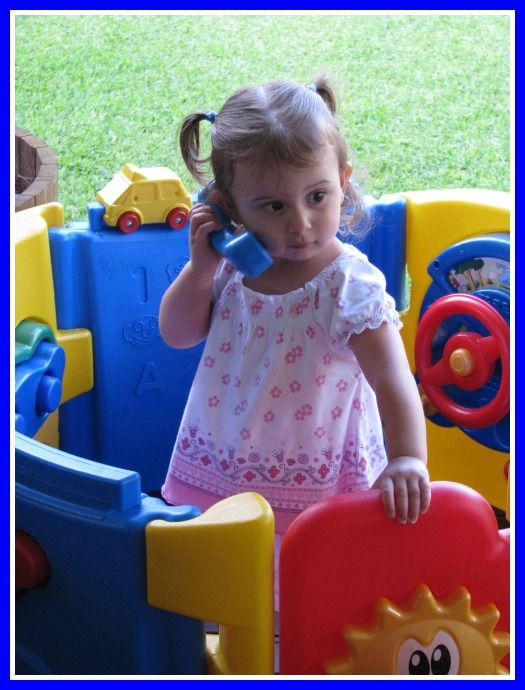 It develops language skills: practising listening, looking and talking. Kids also develop an understanding of what is being communicated through body language such as smiles and nodding. I wholeheartedly believe that kids should be allowed to be kids! In our world today, it seems as if we get caught up in being busy and forget to have fun. Encouraging our children to play and have fun will develop healthy connections and choices in their lives.